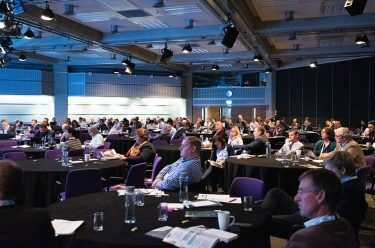 Intelligent Transport’s Editor, Luke Antoniou, and Advisory Board member, Carol Schweiger – a panellist at Intelligent Transport Conference 2018 – take a look back at the hottest conference topics that had delegates and speakers alike deep in thought and conversation during the two days in London. If one thing was made clear at 2018’s Intelligent Transport Conference, it’s that a change in approach and attitude is coming to the mobility sector – not just from operators, but from passengers too. Customer expectations for technology-driven mobility solutions is very high, meaning that more focus is being placed on personalising mobility solutions. At the conference, discussions about customer expectations centred around facilitating fare payment (e.g. a fare payment solution that requires no onboard hardware or software), developing mobility applications that are accessible to everyone with or without a mobile phone, and providing first- and last‑mile trips via automated shuttles. While technology has changed and is still changing the way we use transport, and the way that operators run it, there still appears to be a lack of a coherent plan for bringing transport services together and integrating technology in the right way. Indeed, one of the common themes at the conference was that we shouldn’t be using technology for technology’s sake, but rather using it to meet customer demand. 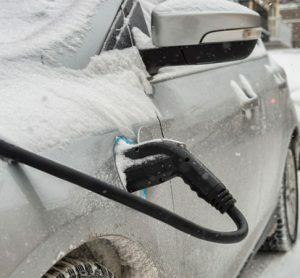 Clearly, the technology is available to us to match supply with demand – even in real time – yet public transport organisations are only beginning to use it to their advantage. One reason for this – and another topic central to the discussion at ITC 2018 – is that local and central governments are often too siloed in their thinking and their approach to problem solving, and the same could arguably be said of transport operators. 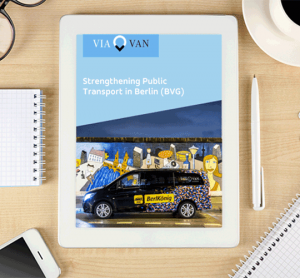 The conference offered tips on breaking down this siloed approach, emphasising the importance of taking a far wider view to be able to build transport networks – and indeed societies – that are more responsive to the needs of citizens. Of course, we must not look only to government to take responsibility for improving our cities and the transport within them; the private sector also has a significant role to play. In the last five years, private companies with expertise in everything from data analysis and transport modelling, to ride-sharing and real-time demand matching have changed the way mobility works within our cities. From listening to the panellists in the Mobility for Today and Tomorrow stream, it became evident that collaborations between public and private organisations have perhaps the most potential to advance mobility options. The sharing of knowledge on requirements, technological knowhow and city planning is crucial to developing tech-led transport solutions that customers actually want and will use, and it can be achieved more simply when the public and private sectors come together. 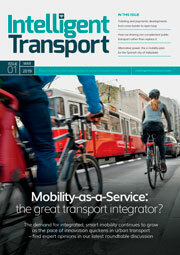 Transport planners must become more involved in the development of transport technology. Planners employed in the public sector are working together with the private sector to better understand all aspects of a passenger’s journey as well as the impacts on transport from external developments, such as building housing or retail space. This is helping to provide more personalised and targeted mobility solutions depending on available transport solutions. Understanding the roles of the key mobility players, whether city/region/government, travellers and private sector, like the mobility service providers and technology companies that develop apps and platforms, and how to balance each player’s contribution to improved mobility. A comprehensive solution, such as MaaS, is not going to address all mobility issues. Rather, it is one type of solution – a platform used to provide travellers with transport options in an unbiased way and allowing single payment either for a ‘package’ of services or for one multimodal trip (e.g. pay-as-you-go). 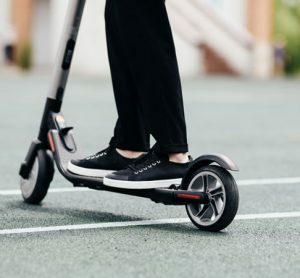 One issue discussed at the conference regarded the sustainability of MaaS, highlighting that several MaaS providers currently are highly subsidised by venture capitalists, making its existence in the future questionable. Automation can be a mobility enabler, however, automated vehicles could result in increased congestion if we do not ensure that they will be shared. The conference covered both the utopian view of automated vehicles, in which they can be summoned on demand, provide first- and last-mile transport and will not be owned by travellers, and the dystopian view, in which congestion will increase significantly (if these vehicles are not shared) and where safety requirements are not effectively met. On the other hand, the conference also covered the concept of the ‘self-healing city’. This concept should be inherent in a smart city in terms of how the city deals with transport disruption. For this concept to come to fruition, the performance of the technologies driving smart cities will have to be measured continually, and mobility services will have to be adaptable to best serve travellers and residents of the smart city. 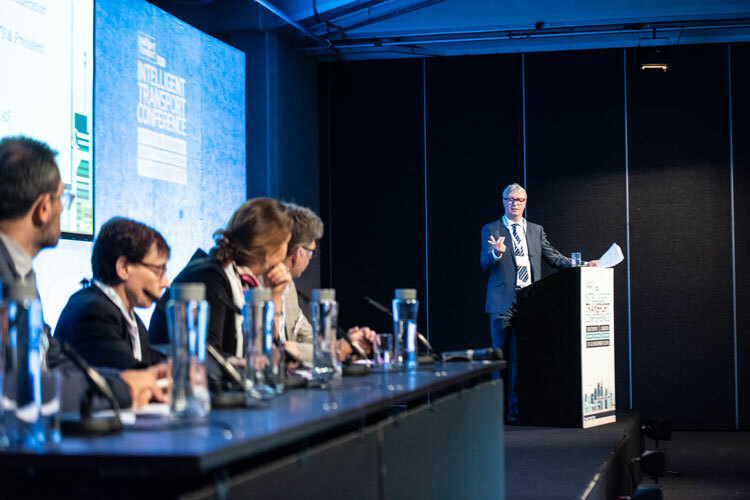 With so much to consider in the year before the next conference, Intelligent Transport looks forward to welcoming you back in 2019 to bring more concrete answers to the questions raised this year, and focus on solving the challenges urban mobility presents. Click here to register you interest for 2019.